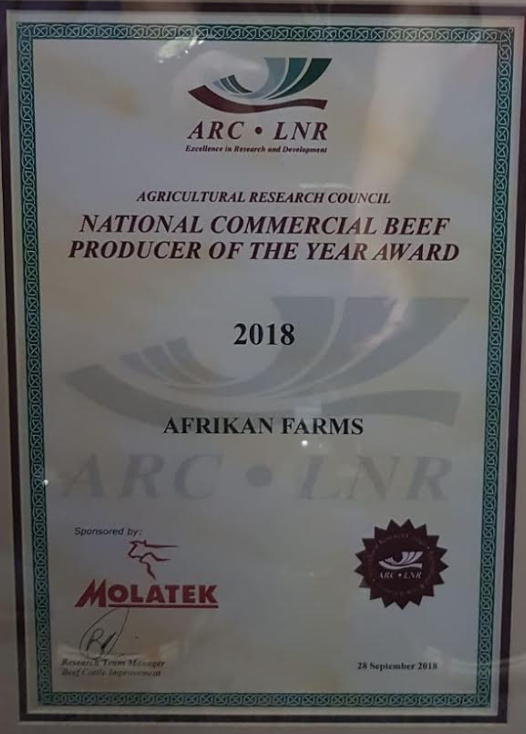 Afrikan Farms is South Africa’s National Commercial Beef Producer of the year, 2018. This award was bestowed on them by The Agricultural Research Council (ARC), a premier science institution that conducts research with partners, develops human capital and fosters innovation to support and develop the agricultural sector. 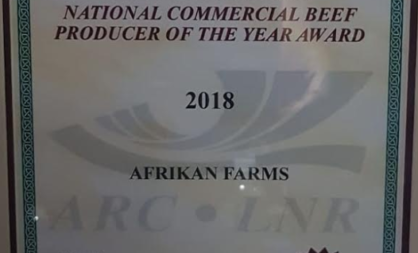 Afrikan Farms is a diversified, family-owned commercial farming enterprise near Amersfoort that was established in the year 2000 with the first farm being acquired in 2003. 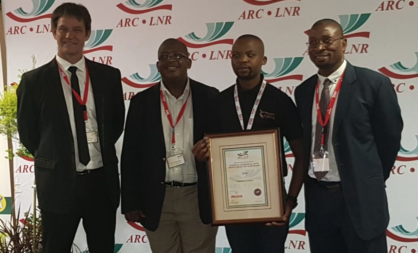 This dream came to life with little to no experience at all but just with the love and passion of their chairman, Vusi Khanyile, who grew up on a farm near Mooi River. The cattle purchased initially, ranged from Beefmaster, Red Angus, Brahman crosses, Drakensbergers and Brafords. Since then a steady infusion of Beefmaster and Symons bulls has resulted in the herd which exists today. 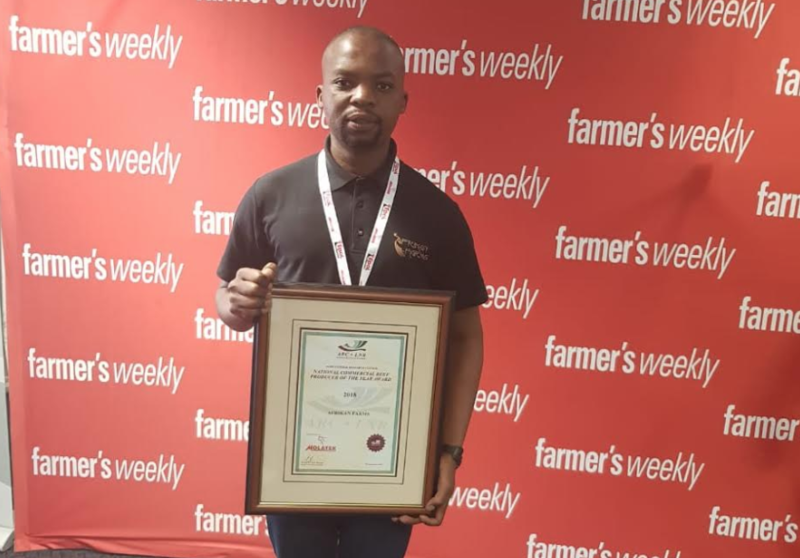 Ermelo Insight spoke to Nsika Shabalala, Cattle Manager of Afrikan Farms to learn more about the award and what the future holds. 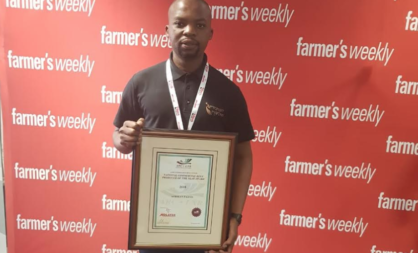 Nsika grew up in the township of Mooi River, KZN and explains that he considers himself one of the lucky ones that “made it out” and managed to make something of his life. He contributes this all to his uncle, Vusi Khanyile, who he fondly refers to as uMalume, who helped shape his teens and instilled in him the belief that he could have a bright future in agriculture. He was offered the opportunity by Afrikan Farms to study at Cedara College of Agriculture with the hope that he would with the skills and knowledge, help to carry the dream of Afrikan Farms forward. 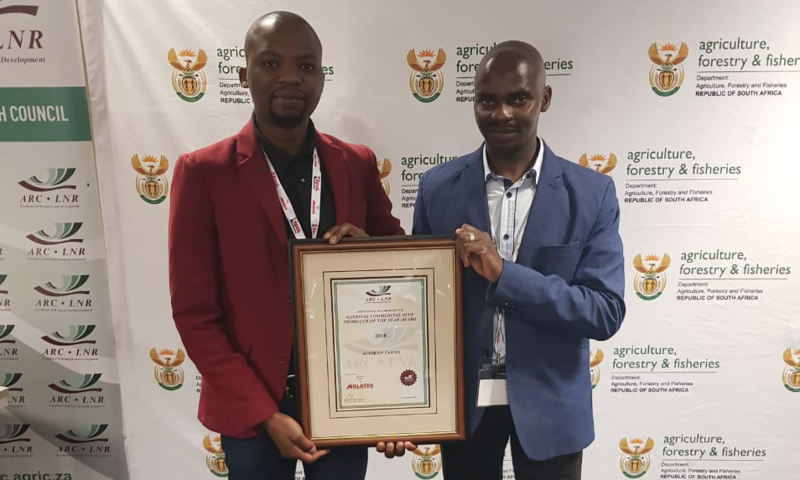 After graduating in 2011 he went straight to work on the farm’s cattle department and is today, seven years later truly humbled to receive such a prestigious award representing Afrikan Farm’s cattle department.